A recruitment message is essential to attract volunteers who are excited about doing good work to support your program. This message will illustrate why volunteering with your program is a rewarding experience. You can draw from your recruitment message for presentations, outreach materials, emails, and informal talking points. Share it with other staff and partners who may interact with potential volunteers. A recruitment message should have at least four elements. Why does your organization and cause matter? Humanize your organization and help potential volunteers understand why they should work with you. This could be represented by a photo or story. People with basic taxes often find tax filing overwhelming and need your help. Many want to file taxes as part of their civic duty and can’t afford to pay hundreds of dollars. In Washington, DC alone, over 100,000 residents– including your neighbors, co-workers, and friends– live in poverty. That’s nearly a fifth of the population! Many of these taxpayers turn to paid tax preparers. However, the tax industry is unregulated, and many paid preparers don’t provide the quality services people need. Volunteer tax preparation helps Americans claim the Earned Income Tax Credit (EITC) and Child Tax Credit (CTC), federal tax benefits that help workers care for their families, withstand unexpected economic changes, and reduce poverty. 2. Call to Action – How Can Others Help? What do people do when their interest is piqued by your statement of need? What role can volunteers fill? How do they get started? You can help by training to be a tax preparer, a tax site greeter, or supporting the tax site in other ways. We are flexible. There’s a place for everyone to use your passion and skills. To learn more, see How to Become a Tax Prep Volunteer. What are the potential fears and barriers that prevent people from volunteering? How can you address these fears? This could be presented in a Q&A or “True or False” format. You may be worried about learning tax law or using the tax preparation software. These are valid and common concerns that shouldn’t prevent you from volunteering. We will support you as you are learning to meet you at your current comfort level. Many people mistakenly believe that you need to be a numbers person or have math/finance experience to become a tax preparer. This is not true! Doing taxes focuses more on building relationships between you and the client. If you like working with people, you’ll most likely enjoy preparing taxes. Before you begin at the tax site, you’ll attend training on tax law. Our trainers and site coordinators will answer any questions you may have and help you through the process. You don’t need to be an expert before you enter the tax site. The tax software guides you through the process with an interview-style format for you to gather information from the client. If you forget something, the tax software will prompt you with a question. During your first couple of weeks at the tax site, we’ll pair you with an experienced tax preparer who will help walk you through your first few tax returns. After this training period, we’ll always have reviewers at the site who can answer questions. After you finish each return, the reviewer will thoroughly check all of your work. Volunteering is a two-way street. What can you offer as an organization? How can volunteering benefit them? Ask yourself what you can give to your volunteers. Volunteers that are satisfied in their work and feel connected to the organization are more likely to return in the future. Volunteering with your site may be a great way to learn new skills, acquire tax knowledge, meet new friends, and strengthen the community. For volunteers who are looking for jobs or are entering the workforce for the first time, volunteering is a great way to build up work experience. If you have the capacity, letters of recommendation/reference and practice interviews are a free and extremely valuable resource you can offer. You can also tailor benefits offered to the group that you are recruiting. CPAs need continuing education credits that they can obtain through volunteering. Banks and financial institutions are encouraged to meet the financial needs of their community under the Community Reinvestment Act and supporting free tax sites is one way they can achieve this. 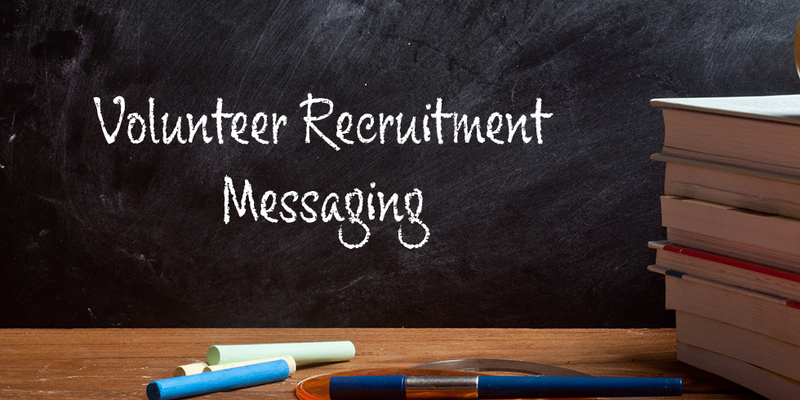 Understand your volunteers’ goals and address them in your recruitment messaging.